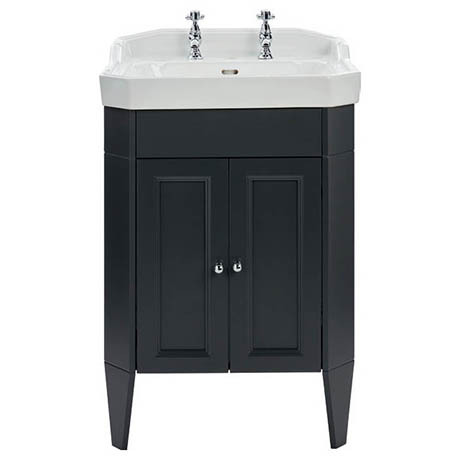 This stunning Caversham Granley Freestanding Vanity Unit with Chrome Handles in Graphite is part of Heritages stand-alone furniture range and is made in the UK. It features soft closing doors and is made using real wood and as such, every individual piece features a unique grain. Combine this stylish piece with the coordinating vanity units, cabinets and WC seats available. Comes complete with a Granley Basin in a 2 or 3 tap hole option. Please note: Taps pictured are sold separately.